If you are planning a holiday sometime soon, then a vacation rental could be exactly what you need to enjoy some rest and relaxation. 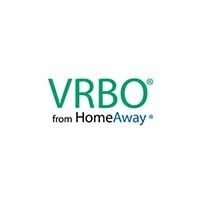 Luckily, with the internet, you have many options for finding vacation rentals, either through a rental property company or a rental vacation service like Airbnb, VRBO, HomeAway, and Couchsurfing. Whether you are looking for a ski lodge in the mountains or a stunning beachside villa, a vacation rental can help make your holiday one to remember. What are Vacation Rental Services? A vacation rental is essentially a house, villa, apartment, or other residential property that is rented out for short-term vacations. In other words, a vacation rental is an alternative to staying at a hotel. Unlike most hotels, you enjoy the amenities of home, such as a fully functioning kitchen. However, you may also lack the amenities that a hotel provides, like a concierge service, room service, and free breakfast. In most cases nowadays, you will find vacation rentals by looking online. 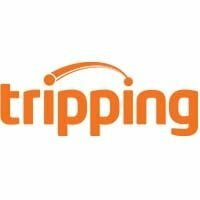 Sites like Airbnb, Booking.com, TripAdvisor, VRBO, HomeAway, and Tripping are all great resources for finding vacation rentals. These services work similarly to how a hotel search service works. You simply enter where you want to vacation, the dates of your vacation, and then search. Additionally, most services allow you to search by the number of rooms, certain amenities, proximity to local attractions, and so on. A timeshare is also a possibility when it comes to finding a vacation rental. A timeshare allows you to become part owner of a vacation property. The other owners are usually people that you do not know, and you typically have a certain number of weeks per year when you are allowed to use the property. The advantage of this setup is that it makes owning a vacation property very affordable, but there can be lots of problems, including high-pressure sales tactics, overpriced units, and the fact that many timeshares do not work well as investment vehicles. Finally, you can rent directly from owners themselves. Many owners have their own websites, or you can find owners directly through a listing service. Generally, a vacation home is cheaper than renting a hotel. That is because unlike a hotel, you do not have access to certain services and amenities. Instead, you are staying at a “home away from home,” meaning you will still have to make your own meals (or eat out) and you likely won’t have housecleaning services (although this varies from one vacation rental to another). When booking a room or vacation rental through an online service, you will usually have to pay a booking fee. Airbnb, for example, charges a booking fee of 6 to 12 percent, depending on how much the reservation costs. 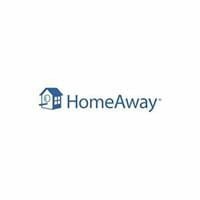 HomeAway, meanwhile, charges between 4 and 10 percent while TripAdvisor’s fee is 5 to 15 percent. Some cities have begun imposing hotel taxes on vacation rentals, which will drive up the fees for these vacation properties even higher. Usually, if you rent directly from the owner, then you can expect to pay less in fees. Unfortunately, vacation rental fraud and scams are very real risks. Many sites offer a rating system whereby you can read reviews by previous renters to see if the vacation rental property being offered really is as good as the owner claims it to be. However, not all rating systems are created equal and some are prone to abuse. If the owner of the property also has his or her own site advertising that property, then any reviews or testimonials on that site should be taken with a grain of salt. After all, the owner is unlikely to allow negative reviews of their property to be posted on their own website. Services like Airbnb and TripAdvisor tend to be more reliable when it comes to honest reviews. 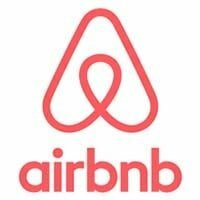 Airbnb even has a system that allows them to verify that reviewers actually did stay at the rental property being reviewed. You can choose whether to rent directly from the owner of a rental property or to use a vacation rental service. There are pros and cons to each. With a vacation rental service, you will typically be able to search through many listings and to compare them side-by-side. If there are problems with the rental, then the service will often be able to help. By renting directly from the owner, you often get a better deal since vacation rental services usually charge additional fees. If you have any issues with the property, then the owner can resolve them a lot sooner than a rental service could. However, you have fewer guarantees when renting from the owner that the property will be as good as the ad says it is. Fraud, while rare, is more likely to occur when dealing with owners directly rather than with a vacation rental service.